2018-12-09 20:00:00 2018-12-09 22:30:00 Asia/Kolkata YES! WE Love You. Collection of short films. “Yes, We love you” is collection of 4 short films with a common message from 4 different men from 4 different walks of life. That no matter how imperfect or aggressive or impolite we are as men, we still love you. Directed by : Milan Jani. 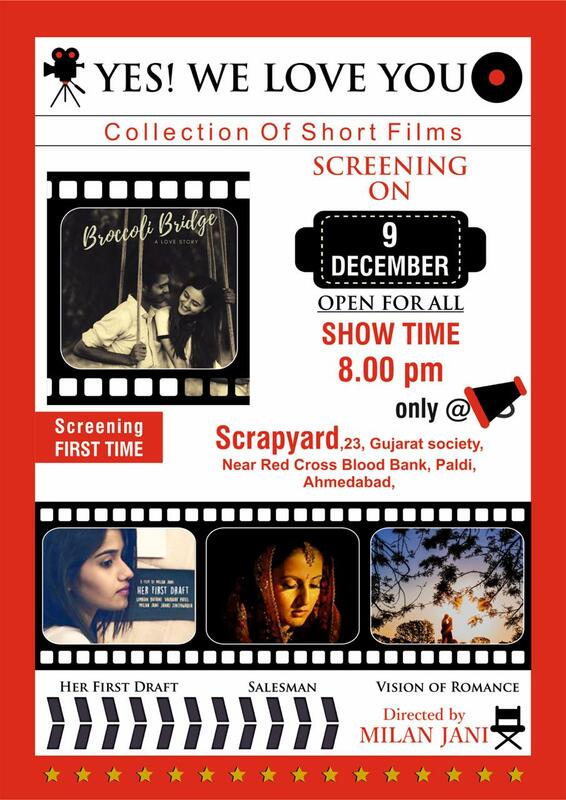 Broccoli Bridge / Collection of short films / events in ahmedabad / Her First Draft / Salesman / Vision of Romance / YES! WE Love You.